Last night I inadvertently deleted 17GB of data with a mis-press of Shift+Del, causing a classic “oh sh*t! !” moment. I’d chosen to “permanently delete” the folder, skipping the Recycle Bin and instantly freeing up some space 6 Ways to Free Up Disk Space on Your Netbook 6 Ways to Free Up Disk Space on Your Netbook Read More on my drive. This is great when you’re playing file janitor for a day, cutting, copying and inevitably deleting files and folders you no longer need. Unfortunately getting the data back isn’t quite as easy as a trip to the Recycle Bin. You’ll need some recovery software, something like Pandora Recovery. Breathe. Relax. Let’s recover some data. 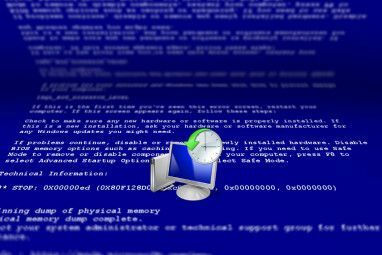 When a file is deleted, Windows usually sends the item to the Recycle Bin where it is marked for deletion but still very much on your drive. Once you’ve emptied the Recycle Bin the file is seemingly lost. Shift+Del is simply a handy shortcut to skip the Bin and zap a file. However, just because the file or folder has been deleted does not mean your data has been destroyed. When a file is “deleted”, Windows simply marks that section of the hard drive as free, writable space. Provided you’ve not filled up the drive a few times, it’s very likely you’ll be able to recover those files. This does of course mean that old hard drives, memory cards, flash drives and any other rewritable storage medium is subject to the same rules. If you format and sell an old SD card there’s every chance the buyer could attempt a recovery and enjoy your holiday snaps too. Regardless of how likely it is that someone would do this, it’s still very much possible. Assuming you’ve just lost a couple of vital documents, you’ll probably want to protect the medium they were stored on. Don’t write to the drive, don’t move or copy items and ensure you have at least enough free space on a separate drive for the files you want to recover. Recovering files to the same drive that you are recovering from is possibly going to end in tears as your files have now been marked as free space, meaning it’s possible that you’ll overwrite the same files you’re trying to cover and lose your data. Don’t do it – recover to another drive and then put your files back where they belong. If you’re recovering from your system drive then it’s probably a good idea to not install Pandora in this location, in case you overwrite the data. If you’re reading this without the need for an immediate recovery then ask yourself if you’re better off installing the software before you genuinely need it. Otherwise, choose another partition or better still prepare a portable USB install How To Create Your Own Portable App For A Flash Drive How To Create Your Own Portable App For A Flash Drive Read More on another PC. It is also possible to buy a ready-to-rock USB version of Pandora for around $20. You can grab Pandora here, choose Download.com as a mirror and click the Direct Download Now link below the CNET Installer link. CNET Installer will attempt to install crapware on your PC How To Remove Unwanted Crapware From Your Brand New Windows 7 System How To Remove Unwanted Crapware From Your Brand New Windows 7 System Read More (you have to agree, but it’s quite a confusing dialogue) in addition to the Ask.com toolbar you should probably refuse in the main installer. 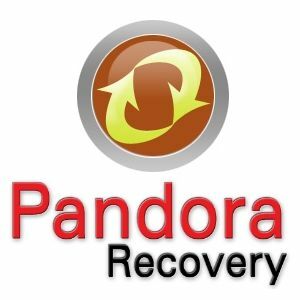 Once Pandora is installed or available as a portable app you’re ready to recover. Recovering data with Pandora is fairly simple, and the first thing you’ll see is a wizard that attempts to guide you through the process. Follow the wizard and after choosing a drive you’ll be asked whether you want to browse for deleted files, search or conduct a deep surface scan. Browse is great if you know where the data went missing from, and probably returns the quickest results. If you’re after a particular file then searching either for a matching name or simply by extension like *.avi or *.jpg will yield results. If your drive has been formatted, has corrupted file tables, is a removable/flash storage medium or everything else has failed then a deep surface scan is your best option. You can easily skip between the functions in their respective tabs, and the recovery process is identical for all three methods. Once you have located a file or folder you would like to recover simply right click and choose Recover to… from the menu. A dialogue box will pop-up requesting a location to store recovered data, remember: if you’re recovering from an external hard drive – copy to your main drive. If you’re recovering from system drive – recover to a USB or external drive. Do not write to your source drive. Depending on how much data is being recovered you may have to wait a while. Recovering 17GB of video took me about 45 minutes, whereas a small file (documents or images) takes seconds. Once you’re done you’ll hopefully see something resembling the screen below. Remember, if you can’t find your data with a search or browse then a deep surface scan is highly recommended. I deleted a few files to test the program and not only did it find the images I purposefully deleted but a lot of old music, video and image files from before my last format How to Format a USB Drive and Why You Would Need To How to Format a USB Drive and Why You Would Need To Formatting a USB drive is easy. Our guide explains the easiest and fastest ways to format a USB drive on a Windows computer. Read More . If you’ve tried Pandora Recovery and are still having problems then all is not lost. 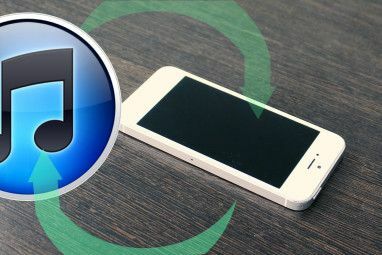 Maybe you’ll have some joy with another recommended recovery program How to Scan a Reformatted Hard Drive to Recover Files How to Scan a Reformatted Hard Drive to Recover Files Read More . If you have any thoughts on this or other data recovery tools then add your comments, below. Please keep in mind that any DIY data recovery attempt can cause permanent data loss. I’d strongly recommend seeking help from a specialist. Every hard drive fails eventually and keeping a backup is the best method to avoid data loss. Thanks to pandora recovery....it did a great job for me....i worked for me correctly....thank you so much..
trying to recover about 40Gb from external, after 2-3 hours of deep scan the dialog window shows up saying there is some kind of mistake with running pandora soft & shuts down it ! What's up with that ? what a waste of time & effort ! Hey — have you tried TestDisk for this? Hi I used this software to recover the files. I did recover the files. But I am not able to open any of the files. Could you please let me know, how should we proceed in this siutation? 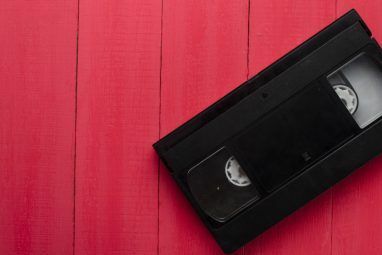 Great to hear that it worked well for you and helped you recover some precious memories! Hi i have used this software. Its good. But I am worrying is someone access my soft ware during recovery. Pl help me in this reard. This softwre is good, but I guess it dosen't recoginize open office documents. I wasn't able to find my document that i deleted by mistake an were in written in open officer writer. It depends where you're recovering from. If you're recovering documents from a USB device, then yes I'm afraid there's a good chance ODT and other OpenOffice documents won't be recognised. Saying that, if they're on the hard drive there's a good chance they'll show up as the HDD scan shows all available files. BackTrack is a forensic program and it can find anything if it exists on your drive. Ideally, you should immediately power down your computer, insert your computer's hard drive in another computer and use that computer to recover the files. If you're running an OS on the same drive as the deleted files, they could be getting overwritten. Of course, this isn't always possible.